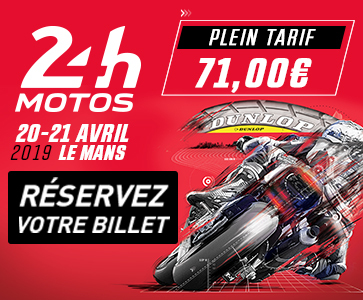 The 24 Heures Motos gets underway on Saturday 20 April on the Bugatti circuit at Le Mans. Viewers in over 60 countries will be able to watch live coverage of the 2018-2019 FIM EWC season’s second race from start to finish. 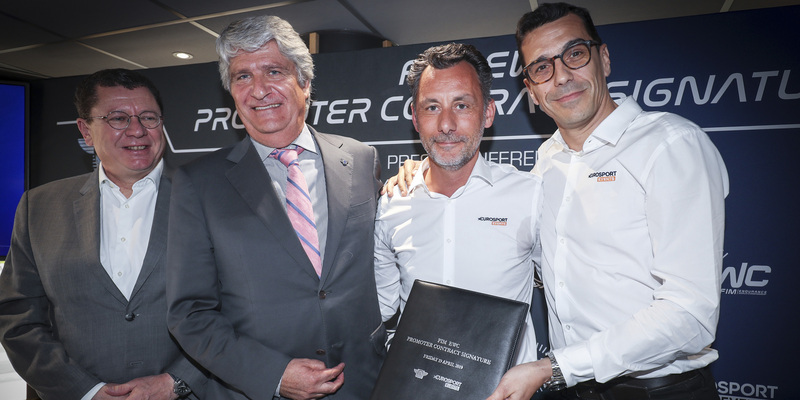 Eurosport Events, the FIM EWC promoter, is releasing coverage of the Endurance world championship races to more than 18 broadcasters this season. The entire 24 Heures Motos will air live as it happens on Eurosport & Eurosport Player from 2.45pm CEST on Saturday 20 April, with the full race available in French and English commentary. In France, sports channel L’Equipe will offer more than 15 hours of live coverage, from the race start (2.30pm) to 9pm on Saturday, plus a night-time slot (midnight to 2am) and coverage on the Sunday morning through to the finish (8am to 3.30pm). Japanese fans will be able to track the performance of their national heroes (and reigning world champions) on the Nippon TV Group’s channels. Digital platform Hulu and the G+ television channel will offer uninterrupted coverage of the race. BS NTV will show the final 3 hours, while Start Live will air a race presentation and a 30-minute post-race recap. In addition, the ‘EWC All Access’ segment and a 44-minute race highlights programme will be shown in 42 countries in Asian countries (Fox Sports Asia), India (Dsports), the Philippines (Hyper), Brazil (Band Sports), sub-Saharan Africa (Kwesé Free Sports), Italy (SkySport and Corse di Moto), Spain (Garage TV), the UK (Quest), Poland (Motowizja), the Czech Republic (CT Sport Channel) and Russia (Motosport TV). To make sure you don’t miss out on any of the action at the 2019 24 Heures Motos, you can also follow the race on the website fimewc.com, on Facebook, Twitter, Instagram and YouTube, the live timing and the FIM EWC smartphone app.